Writer's Life - Raven's Cry ARC Squad Spotlight! It’s release week! Come meet my awesome Raven’s Cry ARC Squad! 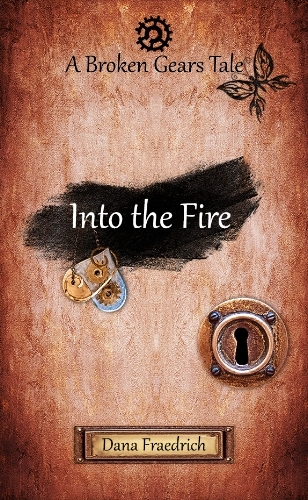 Cover Reveal for Into the Fire! An expedition to an exotic foreign city. An assassin in hiding, waiting to strike. World changing discoveries. Did I mention I'm excited? Now I want to share the book with you too! How about a little teaser? Eeeeeeeee! 😆 This, my awesome friends, is why I haven't had a blog post in a little while. I've been so busy trying to get preorders and all the admin stuff that comes with releasing a book done. If you've never done it, let me just tell you: it's a lot. For instance, there are about five different places I have to enter my new book's information, and that's just for Amazon! Sorry there's not much else to report at the moment. But, hey! If you follow me on Instagram, Facebook, Twitter, etc., you can keep up with me on a daily basis. Thanks for reading! New Newsletter and Free Books! Getting My Crap Together...Or Am I? In which I discuss not getting anything done, my relationship with stacks, and trying to become more productive. Just some follow up a la old school "Hello Internet", talk some more about Scrivener tricks, and drink some hot cider. Cheers! Official website for independent author, Dana Fraedrich. Want exclusive content? Sign up for the VIP Newsletter. I respect your privacy. I don't want people selling my email address, so I won't sell yours. Thank you for signing up for my VIP Newsletter. To access the Exclusive Content page, the password is hope. Follow me on Instagram, Facebook, Tumbrl, and Twitter!